It doesn't matter if you are a professional model or an amateur looking to get started in the modeling business, swimsuit glamour photography is fun for everybody! If you are looking for a gift for that special someone or for an addition to your model portfolio, swimsuit photography is the way to go. 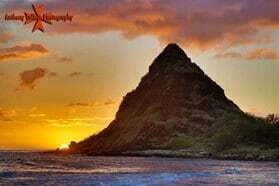 am located on the Hawaiian Island of Oahu Hawaii and surrounded by some of the most beautiful beach locations. Perfect for a swimsuit photography shoot!. we have the privilege of being near the beach, the perfect place for a swimsuit photography shoot! So grab a few of your favorite swimsuits and give us a call! Over the years, Anthony's glamour photographs have been published in many of the world premier glamour magazines. Based in Honolulu, Anthony continues his successful career as a professional swimsuit photographer. Always on the look out for new modeling talent, Anthony welcomes test calls from prospective and hopeful glamour models. If you are interested in being a published swimsuit photography model, please call Anthony to set up an appointment for a test photo shoot. Anthony also supplies stock glamour photographs which appear on posters and calendars. He is based in Honolulu and offers his services throughout the island of Oahu, including Honolulu, Waikiki, Kapolei, Ko Olina, North Shore, Kailua, Kaneohe, Laie, Waianae, Makaha, Makapuu, and Waimanalo. As a Hawaii Photographer, I offer affordable Hawaii Swimsuit Modeling Photographer services with beautiful Oahu Seascapes and landscapes for a backdrop. Planning to visit the Island of Oahu for your vacation or you live on Island and you are thinking about booking a Honolulu swimsuit photographer to begin or update your portfolio or you want some Great photos. For a Fun Experience of a Lifetime!! Premiere swimsuit photographer in Honolulu. Anthony Calleja with 30+ years of bikini photography experience. Serving, Koolina, Honolulu, Waikiki. Call (808) 349-7917 and reserve your photo session today.